Community solar offers the benefit of solar to those who can’t, or prefer not to, install solar panels on their homes. 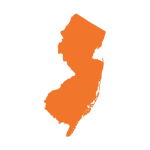 These projects enable individuals, businesses, or organizations to purchase or lease a “share” in a community solar project. If you join a community solar project, you receive a credit on your electric bill each month for the energy produced by your share. Before you can receive this credit, though, your utility must agree to participate in community solar, or be forced to allow it by legislation. 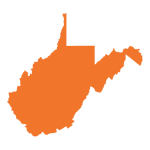 A number of rural electric cooperatives and municipal utilities around the country have also started offering limited community solar to customer owners. Community solar programs are expanding around the country. We’re building a listing of community solar projects to help you compare the options available to you. 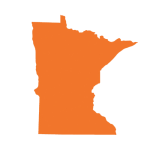 Right now, we’re tracking opportunities for residents in Maryland and Minnesota, but our list will be growing soon! Not all community solar projects are the same. We believe that communities, individuals, towns, churches, and neighbors should have the right to develop their own community solar projects. Unfortunately, in many places only utilities or large commercial developers can build community solar projects. Many utilities are trying to use the popularity of community solar projects as a way to rebrand the utility scale projects they own and manage. We believe everyone should have the right to develop a community solar project in their community. So we’re working to put more “community” into community solar. Is it a good economic deal for participants? The community solar program should help participants lower their electric bills by joining. Or, it should offer a good return on investment. If possible, customers should be able to invest in or own part of the system if they want to. Is it customer friendly? The community solar program should make it easy for participants to subscribe and unsubscribe. 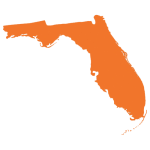 If participants move within their utility’s service territory they should be able to transfer their share to their new residence. It should also be easy for participants to understand what they are paying for. The program should inform subscribers of any on-going charges for maintenance or other costs. Does it benefit the community? 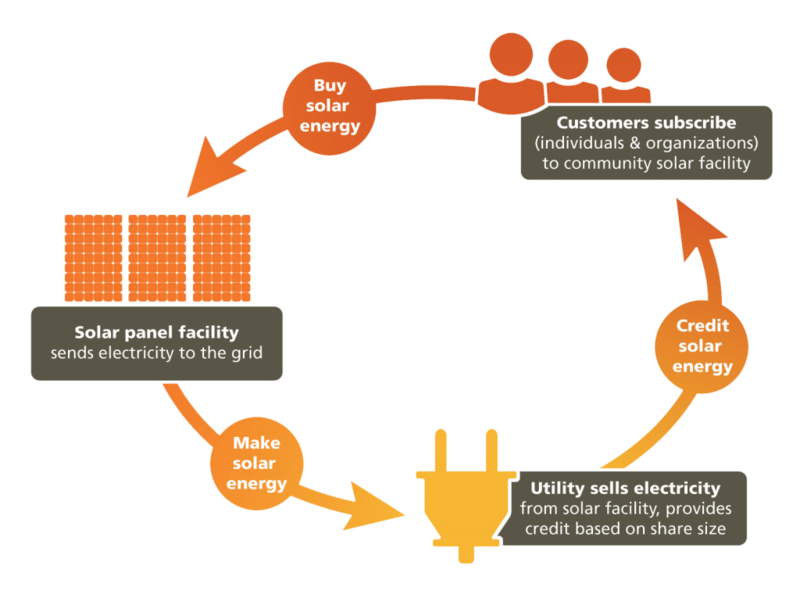 A key trait of community solar is that the shared-ownership nature of the system provides benefits to the community beyond the electricity it generates. This includes job creation, providing added grid resilience, and an opportunity for low-income families to benefit from solar energy. Community solar siting policy – We’ve laid out a set of standards community solar projects should follow to integrate well into the community where they are built. 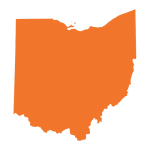 Shared Renewables – This site from Vote Solar tracks the ongoing growth of community solar and related legislation. Shared Renewables/Community Solar – The Solar Energy Industry Association, the solar industry trade group, on community solar’s growth and benefits. A Guide to Community Solar – Report from the National Renewable Energy Laboratory on how to develop community solar projects. Community Solar FAQs – A backgrounder from the U.S. Department of Energy. Shopping for Community Solar FAQ – Solar United Neighbors’ guide helps you get started. Residential Consumer Guide to Solar Power – A guide from the Solar Energy Industry Association (SEIA) that covers the basics of solar energy. 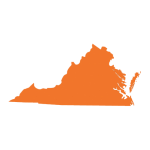 Evaluating community solar projects in Maryland – This resource provides a helpful breakdown of information to consider when evaluating a project. Guide to Land Leases for Solar – This SEIA guide helps landowners understand the opportunities and implications of leasing their property for solar installations. Landowner Considerations for Solar Land Leases – This PDF from New York State Energy Research and Development Authority (NYSERDA) examines what to consider when leasing your property for community solar projects. Expanding Solar Participation Through Community Solar – SolSmart provides a review of how community solar works, its benefits, and successful project examples. IREC Model Rules for Shared Renewable Energy Programs – These rules from the Interstate Renewable Energy Council (IREC) help stakeholders develop shared renewables programs. IREC Guiding Principles for Shared Renewable Energy Programs – A report on IREC’s approach to shared renewable energy program development. Consumer Protection for Community Solar – Clean Energy States Alliance presentation on the various models of community solar and consumer protection considerations like contract provisions and disclosures. Low-income Solar Policy Guide – This article explains ways to help low-income people benefit from solar energy through community solar. Vision for U.S. Community Solar: A Roadmap to 2030 – This report by Vote Solar projects dramatic U.S. community solar growth potential (50-80 times its current size by 2030) and the necessary steps to achieving that scale, with case studies for California, Michigan, New Jersey and Florida. 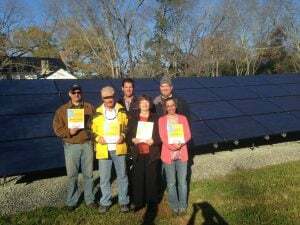 Community Solar for the Southeast – The North Carolina Clean Energy Technology Center and Department of Energy have collaborated on this guide that examines barriers to community solar in the region. Producing Year One and Year Two reports to track the progress of community solar in Maryland. 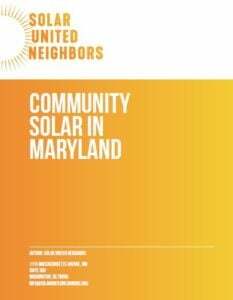 a first-of-its-kind report on the Maryland community solar pilot program. Download your free copy of the Year Two report today! Providing a monthly newsletter profiling community solar project models around the country. Sign up for our newsletter. Developing better consumer education resources about community solar projects. Not all community solar is a good or fair deal for customers or ratepayers. We are working to evaluate specific projects and give the public clear criteria for comparing and evaluating one project to another. Check out our reviews and additional resources. 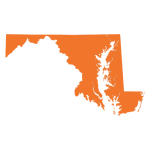 Leading the charge to pass legislation in D.C. and Maryland that enabled community solar. Ensuring better access to the market by creating rules that facilitate low-income and local participation in the market. Limited programs or utility run programs tend to leave regular people out of the market and out of opportunities to make money from the market. 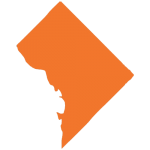 Our work has particularly impacted program design in D.C. and Maryland. Providing technical assistance to communities developing community projects themselves. We are providing assistance where we can and sharing lessons learned between groups so communities don’t need to reinvent the wheel each time they start a community solar project. Connecting subscribers to potential projects. 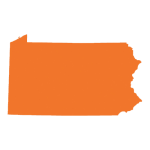 Check below to see if community solar is available in your state and sign up on your state page to learn about future community solar projects in your area.